Is Disruptive Innovation a Myth? When we talk about disruptive innovation, we can easily agree that going from the days of dim candle light and sooty oil lamps to electric light was one of these breakthrough innovations, right? Its icon, the lightbulb serves as our symbol for a great idea today. When you ask around “who invented the lightbulb?” the answer “Thomas Edison” first comes to mind – and the answer is wrong! Truth is that we can give credit closer to 20(!) inventors of the lightbulb! – How so? Thomas Edison patented the first practical and commercially viable incandescent lightbulb in 1878 and a revised design in 1879. In addition, he offered the first efficient electricity supply system for households and businesses, which laid the foundation and cleared the path for mass-producing light bulbs in 1880. His design was an evolution from previous, inferior designs and enabled by improved technology. Sitting in the dark without Edison? No worries, we would not stay sitting in the dark. It appears safe to say that even if Thomas Edison was never born, the practical incandescent lightbulb would have been developed around the same time – by someone else. Looking back in history, Humphrey Davy invented electric light in 1802; more than 75 years before Edison. His “arc light” was unsuitable for mainstream application though it found specialty uses even today. 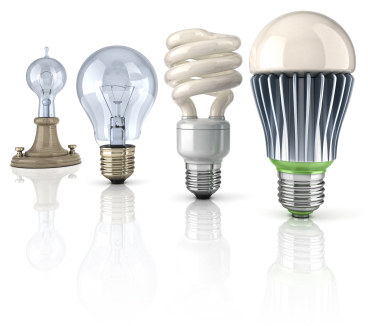 Many more designs for incandescent light and lightbulbs were developed by several inventors, but neither were they practical nor suitable beyond demonstration stage. Prominently, Joseph W. Swan built a working prototype of a “light bulb” in 1850 – well before Edison. On the flip-side, Edison knew of his limitation too. He made carbonized Japanese bamboo glow as filament between two electrodes knowing that carbonized Tungsten was the superior material. However, the technology was not available at the time to produce a thin Tungsten thread. We had to wait for William D. Coolidge to produce the Tungsten filament for General Electric in 1910, which is still the preferred material to illuminate our modern incandescent lightbulbs today. This situation is typical and comparable to many big ideas that entrepreneurs work on today. There is much competition among entrepreneurs, so every good idea usually has a handful of teams working on it independently and head-to-head at the same time. Thus, it is highly likely that, if not Edison, another inventor would have come up with the lightbulb design we are so familiar with today. Perhaps, the even more impactful and lasting heritage of Thomas Edison are not his inventions, useful as they are. His products such as the lightbulb, phonograph, quadruplex telegraph, mimeograph, etc., have been replaced over time by more advanced technology. Nonetheless, Edison has changed the way we discover concertedly today. Until his time, inventors matched the stereotypical image of a lonely genius experimenting and inventing in their lair burning the midnight oil over some ambitious idea. Edison established the first research and development (R&D) organization in his famous Menlo Park lab, where a large number of researchers worked together in an orchestrated way to find solutions to specific problems coordinated strategically and systematically concerted. Edison has industrialized research! Until today every research-driven company or organization worldwide follows in Edison’s footsteps! What an impressive legacy! Disruptive innovations tend to have their origin in incremental steps and competition among inventors. First working individually and now increasingly in teams or even distributed R&D organizations across country borders. A key success factor here is building trust and incentives within the team in order for all individual contributors to share information and findings freely. The broader, cross-functional approach to research helps to identify ideas and technologies from other disciplines that can serve as stepping stones. Edison used a better vacuum pump, which made his design possible. 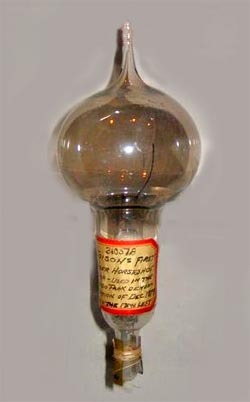 Later, the capability to manufacture a thin Tungsten wire allowed General Electric to take the lightbulb the next level. As the saying goes, “innovation happens at the intersections of disciplines.” The development of the lightbulb serves as a nice example proving it to hold true once again. Thus, innovation benefits by drawing from advances in other disciplines. So, is disruptive innovation a myth? Back to our original question, the story of the lightbulb is a great example for a breakthrough innovation with vast ramifications that disrupted and shaped the we live and work around the globe. It can, however, not be seen as just one big and isolated scientific step but rather a series of many little steps in combination insights from other disciplines including manufacturing, economics and marketing leading to broad adoption that changed the world. Only when it all comes together you have a disruptive innovation like Edison’s famous design. And it was still not the end. The journey continued to evolve with a Tungsten wire and later fluorescence, halogen and LED lights. In this light, every disruption seems as yet another incremental step, doesn’t it? Author Stephan KlaschkaPosted on December 3, 2014 Categories Collective Intelligence, Crowd Wisdom, Design, Entrepreneurship, Innovation, Intrapreneurship, Leadership, Project ManagementTags business strategy, change, complexity, disruptive innovation, employee engagement, empowerment, entrepreneur, innovation, leadership, strategic innovation, Technology, uncertainty, value propositionLeave a comment on Is Disruptive Innovation a Myth? The traditional world of corporate Diversity and Inclusion (D&I) is being disrupted by a new take on D&I and combining it with innovation and talent management. What some perceive as a threat to the D&I establishment may just be the next step of evolution that could invigorate and drive D&I to new heights. Though not an entirely novel approach (see also How to create innovation culture with diversity!) the new thinking gains traction. As this could play out in different ways and only time will tell what worked, here are my thought on where we are heading. Many traditional D&I programs, let’s call them “version 1.0” of D&I, struggle transitioning beyond a collection of affinity groups, tallying corporate demographics and competing for D&I awards to post on their webpage. In these traditional D&I programs ‘diversity’ is often understood to be reflected by more or less visible differences among individuals at the workplace while ‘inclusion’ translates to supporting defined sub-populations of employees through, for example, establishing affinity groups. The United States is seen as the front runner of the D&I movement. D&I has been around in the U.S. corporate world for decades. For historic and demographic reasons it hones in on removing obstacles for minorities at the workplace supported also by strict legislature and execution; exercising Affirmative Action, for example. This legacy in the U.S. lends itself to an inside focus on organizations that became the backbone of the traditional D&I programs. It comes down to the question ‘what can or should the organization do for specific groups of people’ defined by ethnicity, gender, age, sexual preference, faith, disability, war history and so on. Apparently, it still is work in progress as, for example, Silicon Valley just recently got on the public radar, which stirred up the debate afresh along the lines of D&I 1.0; see Google releases breakdown on the diversity of its workforce. Stuck in the ‘Diversity Trap’? The inside focus and minority messaging of D&I 1.0, however, can be limiting when D&I erodes to a process of ‘doing things right’ by pushing for quotas, ‘checking boxes’ and inflating variations of terminology perceived as ‘politically correct’. This can in fact be different from ‘doing the right thing’ for the company overall, its employees as well as the affinity groups and their constituency. It should not surprise that Affinity groups can be (and often get) stigmatized and perceived as self-serving and self-centered social networks without significant and measurable business impact. Under this paradigm these D&I 1.0 programs struggle to get serious attention, support and funding from executives beyond operating on a minor level to ‘keep the lights on’ more for public image purposes than business drive. The fundamentals seem to get forgotten: in the end, a business exists to generate a profit, so less profitable activities are likely to be discontinued or divested. It’s a symbiosis and to say it bluntly: without healthy business there is no D&I program and no affinity groups. When this symbiosis get lopsided, D&I 1.0 gets stuck in the trap. “Diversity” is catching on beyond the United States in Europe, for example, where many countries do not have share a highly heterogeneous demographic composition, for example. Here, companies can start with a fresh approach jumping straight to D&I 2.0 – and many do! It reminds me of developing countries installing their first phone system by skipping the landlines and starting right away with mobile phones. The 2.0 internal focus corresponds to hiring workers that truly think differently and have different backgrounds and life experiences some of which overlaps with D&I 1.0 affinity roots. In addition, there is also an external focus putting the staff to work with a clear business proposition and reaching even beyond the organization. So here a candidate would be hired or employee promoted for their different thinking (2.0) rather than more visible differences (1.0). D&I 2.0 gears towards actively contributing and driving new business results in measurable ways for the better of the employees as well as the organization and its customers. A visible indicator for D&I 2.0 affinity groups helping their constituency beyond company walls is affinity groups identifying and seizing business opportunities specific to their constituency. They translate the opportunity and shepherd it trough the processes of the organization to bring it to fruition. For example, affinity groups are uniquely positioned to extending and leveraging their reach to relating customer segments in order to identify ‘small elephant’ business opportunities; see How to grow innovation elephants in large organizations. The D&I 2.0 approach demonstrates sustainable business value which is why D&I 2.0 sells much easier to executives. It makes a compelling business case that contributes to new business growth, the life blood of every company. U.S. companies stuck in D&I 1.0 are hard pressed to keep up with the D&I 2.0 developments and overcome their inner struggle and resistance. With decades of legacy, D&I 1.0 programs in many organizations lack the vision and ability to make a compelling business case, to develop a sound strategy as well as capability and skill to implement it effectively. This is the requirement, however, to truly see eye-to-eye with senior executives and get their full support. This can become a serious disadvantage in the markets relating to products and customers but also in attracting talent. In the end, the saying holds true that “talent attracts talent” and all organizations compete over talent to compete and succeed. Therefore, a D&I 2.0 program combines business focus and talent management while tying it back to the core of diversity and inclusion: Fostering diverse thinkers and leveling the playing field for all employees. This requires a level playing field that offers the same opportunities to all employees, which is the real challenge. How do you level the playing field effectively in a large organization? How this will be implemented becomes the differentiating success factor for companies transitioning to D&I 2.0! Here is a example 2.0-style for a level playing filed that has its roots in the D&I affinity group space yet opened up to include the entire workforce. It empowers and actively engages employees while leveraging diversity, inclusion and talent management for innovative solutions with profitable business outcomes. It may take a minute or two to see the connection between D&I, talent and disruptive innovation but it is at work right here in the School for Intrapreneurs: Lessons from a FORTUNE Global 500 company. How to start building a business-focused ERG? Why do companies need business-focused ERGs? 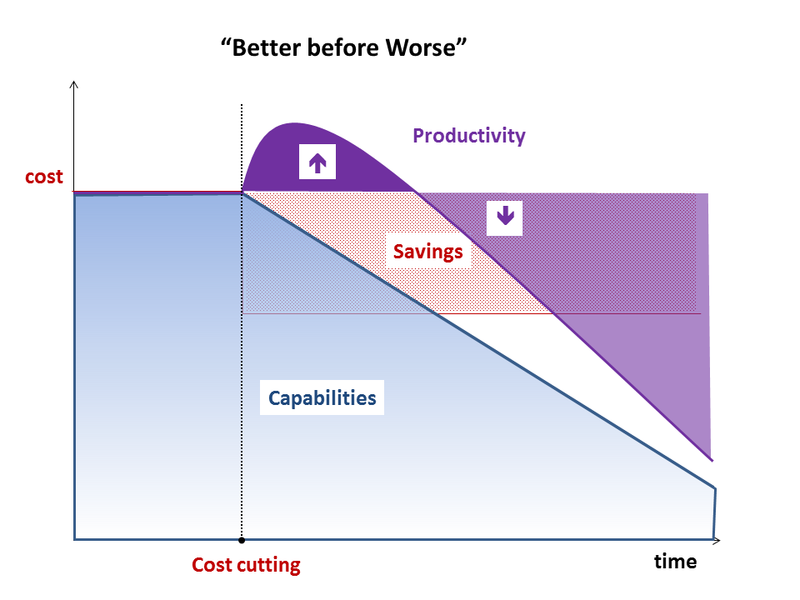 “Better before Worse” – are you dropping off the cliff? Most change initiatives fail. Statistics from MIT research suggest that for leaders managing change the ‘capability trap’ is the single major failure mode. So, what is this trap, how is it set up and, more importantly, how to avoid it? As a quick disclaimer, the charts and examples are schematic and simple to get my point across. This is a blog, not a textbook. New leaders get appointed to solve a business problem such as improving poor results of sorts. So from the start the new guy or gal is under pressure to perform and succeed. In politics the common public expectations are to see result or bold actions within the first 100 days – and business is not known for being less demanding. So, soon enough the new leader faces a tough decision. Which choice do you favor? “Worse before better” means doing “the right thing.” However, this approach may not deliver sustainable results fast and is a hard sell to impatient or less reasonable superiors. 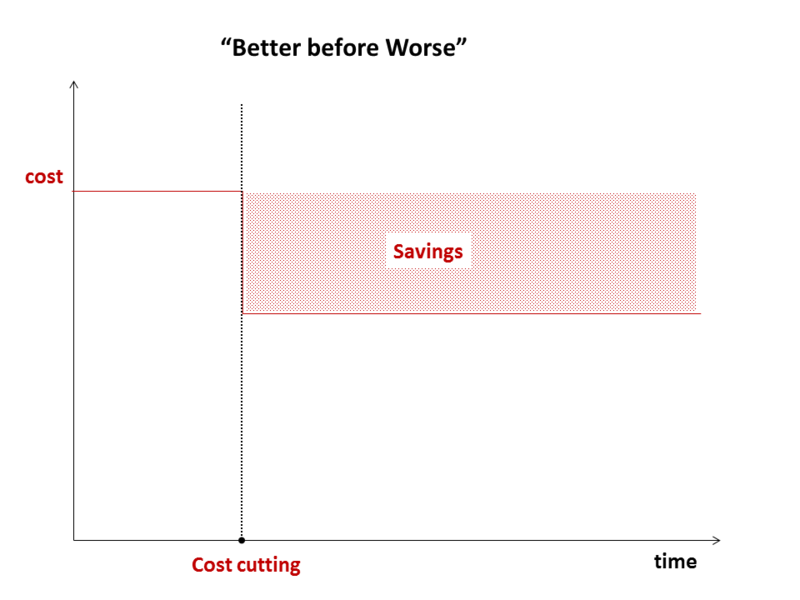 “Better before worse” is a less stellar route to reap short-term benefits and lessen the immediate pressure but it comes at a price: knowing that the this choice is not sustainable and will cost more later down the road. By the way, this is really not rocket-science but straight-forward logic yet many executives still get seduced by the low hanging fruit, namely “better before worse”… so stay with me for a moment to see what happens next. What happens is that not only your balance sheet looks better quickly, you also increase productivity short-term. The machines keep running and people keep on working, so in the short-term you produce the same output with less input. The problems arrive with a delay when ‘capability inertia’ starts kicking in. So here is what happens: You didn’t maintain the machines yet the machines keep working – for while. Then, they break really bad and it takes a lot more money to get them fixed than having them maintained. It’s like not putting oil in your car’s engine and driving on – somewhere down the road the engine will die on you. You will have to spend money to fix it and live with the downtime while fixing the machines. At that time you find yourself in deep water and all your previous savings go up in smoke together with what else you didn’t budget for. On the people side with employee training, for example, the effect is quite similar but often less obvious: You save the money for keeping them up-to-date with new technology, skilled, etc. and saved short-term. The real problem is your staff losing its professional capabilities to continue to perform on a high level in the face of competition or adapting to changing markets and environments. External focus comes with a cost of doing business – that you just eliminated, thereby fostering group-think and internal focus. Getting the crew back in shape later on takes effort and is expensive: not only will you have to train them but also they are unproductive during the training period. 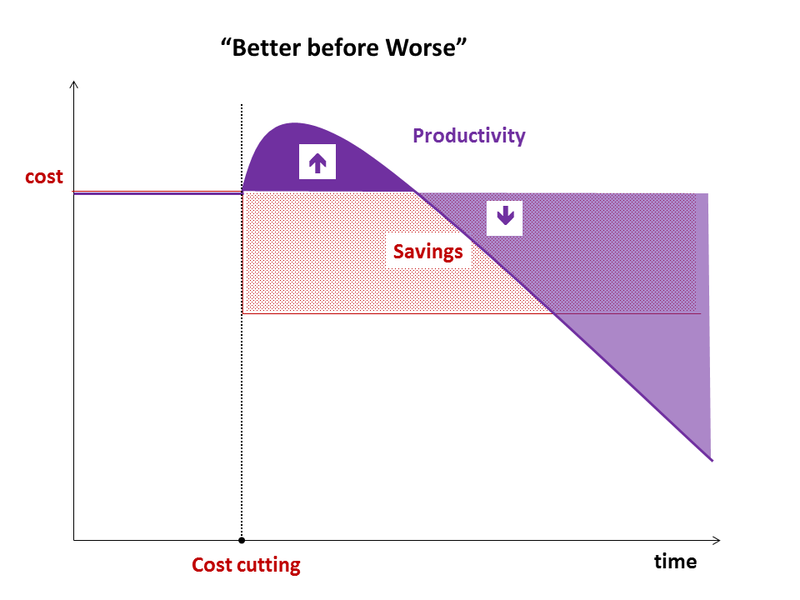 Furthermore, shortsighted cost-cutting inhibits seizing business growth opportunities such as ‘small elephant’ projects (see also How to grow innovation elephants in large organizations), which can jeopardize the business foundation for the future. With it comes the ‘leaky pipeline’ effect where valuable talent leaves. It is the best people who leave first (see How to retain talent under the new workplace paradigm?) if they see sweeping cost savings affecting critical investments in the company’s future capabilities and not surgically cuts. Talent does not wait it out on a sinking ship. If you are unfamiliar with the horrendous costs of turnover, check with your Human Resources person to get a sense for your burn-rate! Despite all of this, many managers still embrace “better before worse” as the scenario of choice and believe they are “doing it the right way”. Rewards for all the Wrong Reasons? Unfortunately, performance and compensation frameworks in mature organizations usually support this easier approach. ‘Success’ is typically measured quarterly or yearly as a basis for bonuses, raises or promotions. The typical incentive systems don’t take long-term sustainability into account enough (other than stock options for publicly traded companies, for example) to change behavior. Instead, rewards keep getting handed out on a short-term basis of evaluation. Research showed many times over that this approach simply doesn’t work for more challenging jobs of the 21st century. Don’t believe it? – Check out Dan Pink’s famous 18 minute TED talk “The Puzzle of Motivation” relating to the candle problem and motivation research. As a bottom line, if don’t plan to hang around to ride out the consequences of your choice (or even have a golden parachute ready), “better before worse” appears an attractive shortcut to short-term success. Deep down, however, you know it was not the right thing to do. Your staff, your successor, and sometimes the entire company will suffer and face the consequence when you are gone. – So what could you do instead? There is an alternative choice: the stony road of “worse before better” by doing what is right. For leaders accepting responsibility this may be the only choice. 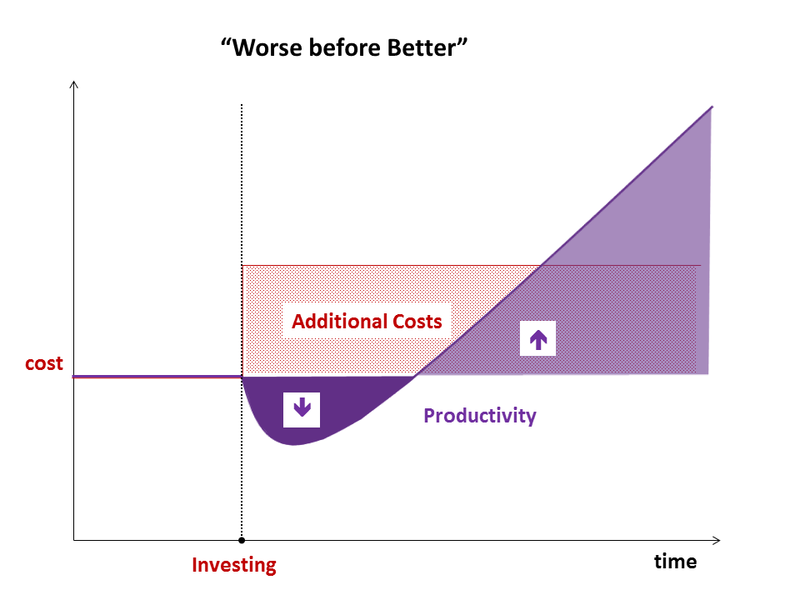 Right from the starts is gets tough: you increase cost to invest where things need to change most, be it people or technology. For example, invest in getting the best people to do the job and train them as well as you can for the challenges to come and step out of their way. Establish or overhaul technology, processes and managerial framework needed to deliver results reliably. This takes time and money, so as you would expect, productivity suffers at first but then, if the change is executed well, recovers and quickly exceeds the additional costs by far while you deliver outstanding results reliably. It is important here not to address all problems at one time but to prioritize and tackle change in smaller steps. Mind that change is a development process that doesn’t lend itself to shortcuts. While this is clearly the more sustainable strategy the tough part is getting your stakeholders and superiors to buy in (especially if they are looking for short-term “better before worse” results) by setting realistic expectations. 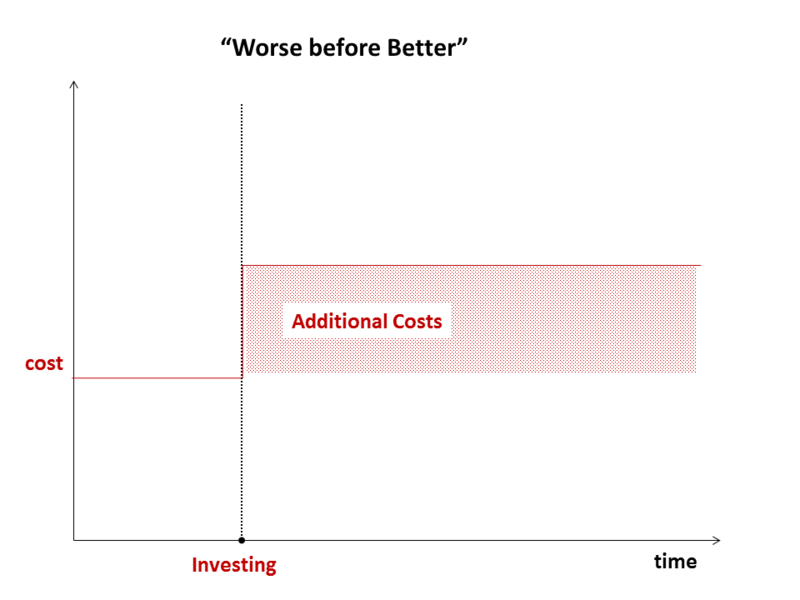 After all, “worse before better” is a sustainable basis for a business model where “better before worse” is not. You may also have to accept not receiving the short-term performance incentives for doing the right thing if your incentive system does not reward building capabilities. However, there are other kinds of meaningful rewards to consider. They range from feeling good about withstanding the temptation, doing good for the company and its employees, as well as possibly getting attention from more forward-thinking parties who may want to hire you in the future as a leader with guts and brains. Author Stephan KlaschkaPosted on July 31, 2014 Categories Innovation, Leadership, Management, ResistanceTags Business, business plan, business strategy, change, complexity, disruptive innovation, leadership, management, measurement, Resistance, strategy, workforceLeave a comment on “Better before Worse” – are you dropping off the cliff? Innovation projects are risky explorations. Disruptive innovation projects even more so, and individual projects can be quite a gamble. So, how can you limit the risk across your portfolio of innovation projects? The goal is to increase the likelihood for the portfolio to succeed overall even if individual projects fail. In mature organizations, incremental improvement can easily be and often is interpreted as ‘innovation’, which makes sense when optimizing a production environment, for example. Here, at the back-end of operations, big “elephant” projects tend to bind the organizations resources (How to grow innovation elephants in large organizations). The innovation project portfolio I am referring to, in contrast, aims at the disruptive end: the “small elephant projects” with higher risk but the potential of extraordinarily high returns if they succeed. In large organizations you hardly get a “carte blanche” to manage just highly risky projects. With a corporate focus on predictable, short-term results there is too much concern of the portfolio easily becoming an unpredictable money pit. You are likely to get shut down after playing around a while without demonstrating clear success in terms of return-of-investment. Thus, you will need to come up with a strategy on how to compose your project portfolio to keep your stakeholders happy and your experimental playground open. Managing risk across a project portfolio comes down to finding the right blend of high-risk/high-return projects and lower risk projects that come with less impressive potential for revenue or savings. You also want to include a few projects that produce returns short-term to demonstrate you are making progress and reap some quick wins for impatient stakeholders while the longer-term projects need time to mature. Core projects are merely optimizations to improve the existing landscape of systems, processes, assets or products in existing markets and with existing customers. These incremental improvements are the “safe bet” and “next small step” that, typically, comes with low risk, predictable outcomes but also limited returns. They do not need high level sponsorship, are easy to predict and plan resources for, and so they are the favored playing field of mature, large organizations. These can often be ‘large elephant’ projects seen as ‘necessary’ that the organization more easily buys into. Adjacent projects come with more uncertainty and risks as they usually extend existing product lines into new markets. Though not an entire novelty it is may be new territory for your company. Sometime, ‘imitating’ a successful model in a different industry does the trick (read also: Imitators beat Innovators!). Adjacencies add to the existing business(es), which requires a higher level sponsorship (such as Vice President level) to move forward, to allocate resources and to accept the risk to fail. Transformative projects are experimental and risky. They create new markets and customers with bold, disruptive “break-through” products and new business model. While the risk to fail is high, the returns could be huge when you succeed. Highest level (C-level) sponsorship and support is crucial for this category not only to persist and get resources during the development phase but also for the mature organization to adopt and support it sustainably. The common rule for playing a safe portfolio is a 70-20-10 mix, i.e. 70% core, 20% adjacent and 10% transformative projects. This way, many low-risk/low-return core projects keep the lights on while you play with few high-risk/high-return transformative projects. From my personal experience with the portfolio I manage, I leans towards accepting more risk, so you would expect and be comfortable with a lower success rate as a consequence but also higher returns. To my own surprise, we completed 55% of our projects successfully and ended up discontinuing 26%. Fortunately, also the average ROI from our “small elephant” projects is substantial and pays the bills for many years out. Thus, for my portfolio, the 70-20-10 mix is too conservative. As for how we select projects and fund projects, read also Angel Investing within the Company – Insights from an Internal Corporate Venture Capitalist and School for Intrapreneurs: Lessons from a FORTUNE Global 500 company. Before re-balancing your portfolio in favor of a majority of risky transformative projects, however, make sure you have continued high-level sponsorship and alignment with strategy and organizational culture of your organization. – If culture, strategy and sponsorship don’t align to support your innovation portfolio efforts, your risk increases for painful learning without sufficient business success. > Interested in Project Management? – Don’t miss VASA’s historic project management lesson! Edward Snowden, a former member of the U.S. intelligence community, released classified government data to the public in 2013. He faces prosecution under the U.S. Espionage Act, remains on the run from the U.S. government and ended up seeking asylum in Moscow, Russia. The 1.3 million documents he released are the largest known security breach in U.S. history. They also unveiled highly questionable if not outright illegal action by US intelligence agencies relating to widespread spying domestically and abroad. In the light of an exclusive interview with NBC News on May 28, 2014, the popular NBC “Today” show asked its viewers in a polarizing poll to decide for themselves whether Snowden was a “Traitor” or a “Patriot.” The morning before the interview aired, 53% of viewers saw Snowden as a “traitor”. The morning after, 61% found him a “patriot.” Though the responses do not necessarily reflect a representative sample of the U.S. population, let’s go with it for now, since an interesting majority swing took place in favor of Snowden’s action. Apparently, the continued decisions of U.S. secret courts approving intelligence programs of the disputed nature did not resonate with the viewers. If Snowden was tried under the U.S. Espionage Act, the public may never hear of Snowden again nor details of his prosecution with most certain conviction. The covered surveillance programs may continue without meaningful oversight. It makes Secretary John Kerry’s strong request sound weak and questionable for Snowden to face U.S. authorities and trust the legal system. Continued messages from high-ranking politicians up to President Barack Obama himself depict Snowden as a “low-ranking analyst” and “high school drop-out.” – Doesn’t this makes you wonder how such an acclaimed ‘bum’ got access to such large amounts of sensitive government information in the first place and who else is granted ‘Top Secret” security clearance, which is shared by 1 million(!) Americans? SOX for Government Employees and Contractors? 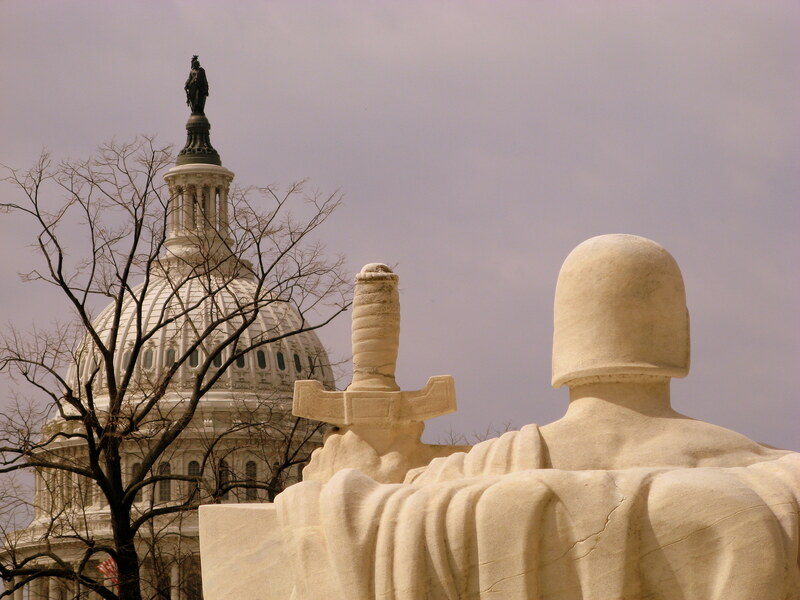 Countering illegal practices by companies let the U.S. Congress to pass the Sarbanes-Oxley Act (SOX) in 2002. While SOX overhauls regulatory standards for record keeping practices, it -perhaps- became more known to the public for protecting employees of publicly traded companies from discrimination who report violations of regulations by the company. Every major business now has a process in place to ensure SOX is enforced effectively. However, SOX only covers publicly traded companies in order to protect shareholders from fraud. What about the public sector, namely the government? Shouldn’t there be a similar ruling that effectively protects government employees and contractors, such as Edward Snowden, when they witness and wish to report apparent illegal actions by government institutions? Where are the “Checks and Balances”? Snowden claimed that he repeatedly approached his manager raising concerns and was told to shut up. Certainly, national security interests must be protected and safeguarded by the clandestine functions of government. But then, again, who guards the guards, when “national security” becomes an obscure blanket excuse without an effective system of checks and balances that the U.S. Constitution mandates and the United States are founded on? The Snowden affair made painfully clear that the existing legal parameters for governmental “whistle blowers” are insufficient to non-existent. How else would the public have found out about the abuse of governmental power? Going public and risking prosecution, currently, appears to remain the only viable option to truly allow and push for effective checks and balances until legislation catches up with a SOX for future Snowdens in order to keep our democracy working for the people. Author Stephan KlaschkaPosted on May 29, 2014 Categories Human Resources, Leadership, ResistanceTags complexity, employee engagement, Resistance, trust, uncertainty3 Comments on SOX for Snowden?